The Malinta Tunnel is a tunnel complex built in the island of Corregidor. It served as a bunker and the seat of the Philippine commonwealth government , as well as the headquarters of Gen. Douglas McArthur during World War II. 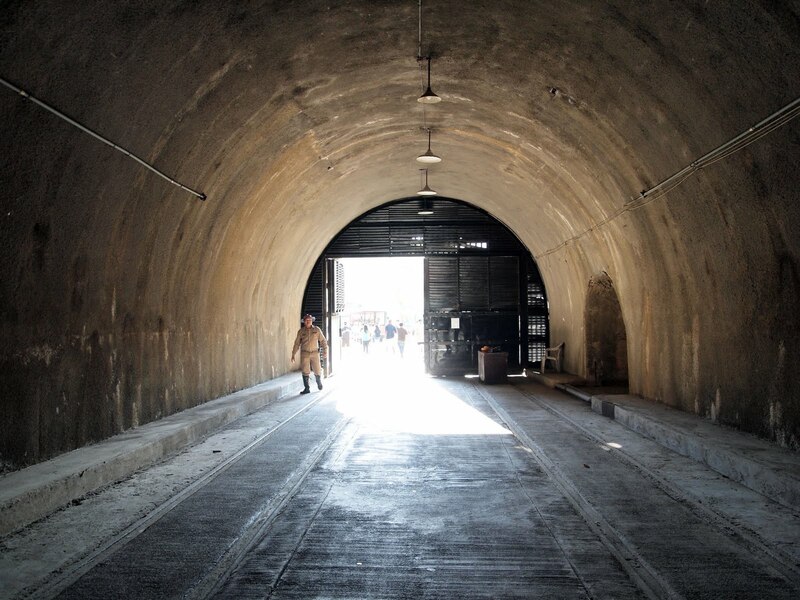 The tunnels were built between 1922 to 1932 using prison labor and with the help of the US Army Corps of Engineers . The tunnel complex was lost to Japanese forces in 1942 during the Battle of Corregidor. It was retaken in 1945, and the Japanese troops holed up inside the tunnel committed mass suicides rather than surrender to Allied troops. The main tunnel is 831 feet long, with 13 and 11 lateral tunnels branching off the main tunnel on the north and south side, respectively. This view is towards the end of the West entrance.